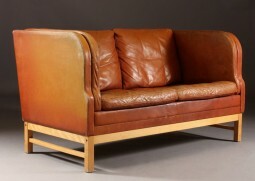 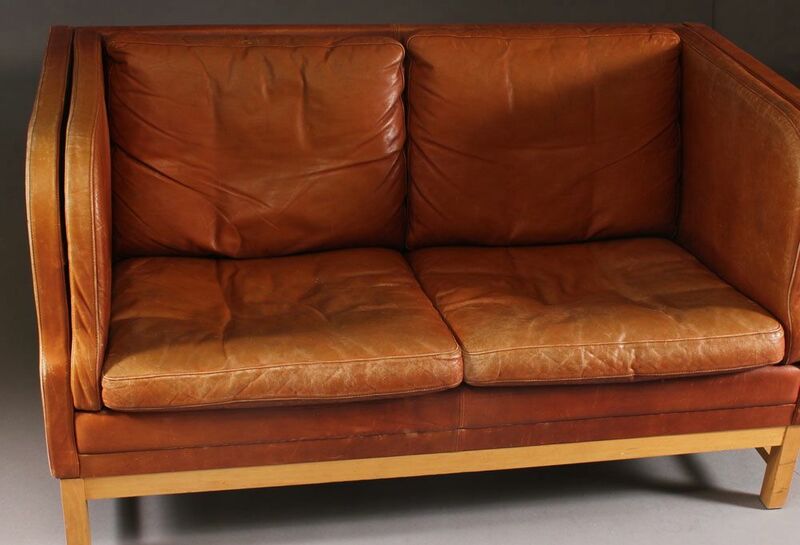 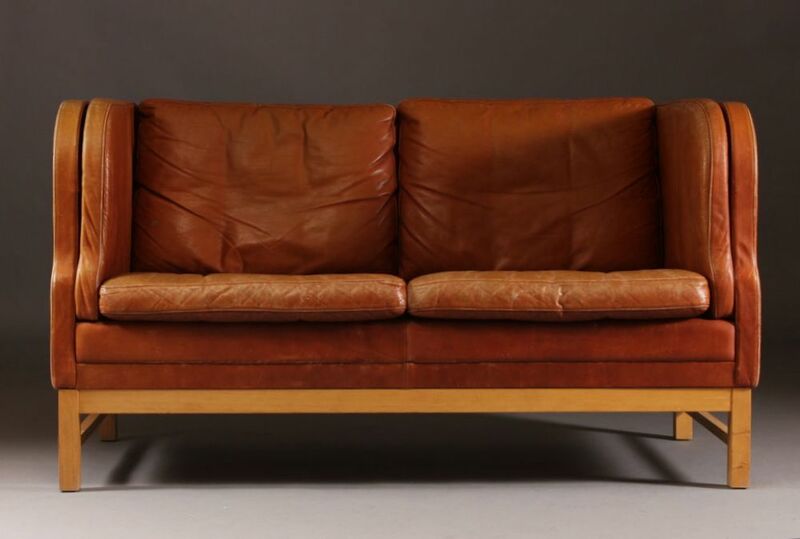 A Danish sofa in cognac colour leather. Unusual design with higher back and sides, a modern take on the Knole sofa. 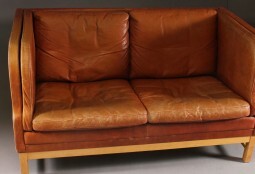 146 cm wide, 80 cm deep and 82 cm high, 45 cm at the seat.